Driving under the influence (DUI) charges can be dismissed before the actual trial begins. Sometimes, the prosecution may dismiss the case on their own because of known defects in their case. Usually, DUI cases are dismissed because of persuasive criminal defense lawyer arguments and motions. Defendants should regularly plead not guilty to DUI charges because often the police failed to follow proper procedure, the district attorney doesn’t have the evidence needed to prove a conviction, or the prosecution knows there’s a reasonable likelihood of acquittal if the case does go to trial. The prosecutor is the main person who drops or dismisses the charge. Judges can authorize dismissals too. The end result for the client is that he/she is free to continue their life without worrying about a criminal record or a court case. Each criminal case is different. DUI cases generally depend on the police following proper procedures and on the results of any chemical tests. If the police did not have proper grounds to stop your vehicle. The police can stop you if they reasonably believe you have committed a traffic violation such as speeding or running through a red light. They can also stop you if they see that your driving poses a danger to others – such as weaving in and out of lanes. If you were following the laws and driving with the flow of traffic – then normally the police don’t have the right to stop you. Illegal searches and seizures. Police cannot search your vehicle for signs of alcohol containers or evidence of drinking unless they have probable cause or unless they obtain a warrant. Most offices don’t obtain warrants in DUI arrests – so whether they had probable cause to search the vehicle is a critical issue. Illegal searches and seizures violate the Fourth Amendment. Illegal field sobriety tests. There are specific field sobriety tests officers should give and specific ways they should give them. If the tests are invalid, the arrest may be invalid. Illegal chemical tests. While drivers generally consent to blood or breath tests, officers still need to explain what rights a suspect has. Testing machines must be inspected regularly. The chain of custody of the test and test results can’t be broken before trial. Failing to advise you of your right to speak with a lawyer. Defendants are entitled to be told they can speak with an attorney after they’ve been arrested. A stop or search was unconstitutional or illegal for other reasons. For example, roadside sobriety checkpoints are supposed to alert drivers to where the roadblocks will be ahead of time. The prosecution may be willing to consider negotiating a plea bargain if they know their case is weak such as negotiating with the defense attorney to plead to a traffic violation which isn’t as severe as a DUI. 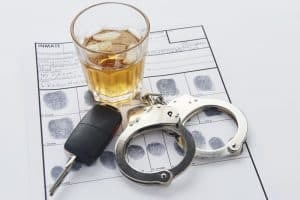 DUI convictions can result in jail time, finesse and penalties, increased insurance premiums, possible license suspension, and other consequences. There are often defenses that can help convince the prosecution to dismiss the case or the judge or jury to find you not guilty. We work aggressively to exclude chemical tests that show your blood alcohol level. If you were charged with a DUI while driving in Franklin, Columbia, Brentwood or nearby locations – please phone us at 615.412.1121, or fill out our contact form to make an appointment.